Our popular fittings are now available in a completely new design! High-quality robust screw-on fittings with cylindrical thread (1/8"). 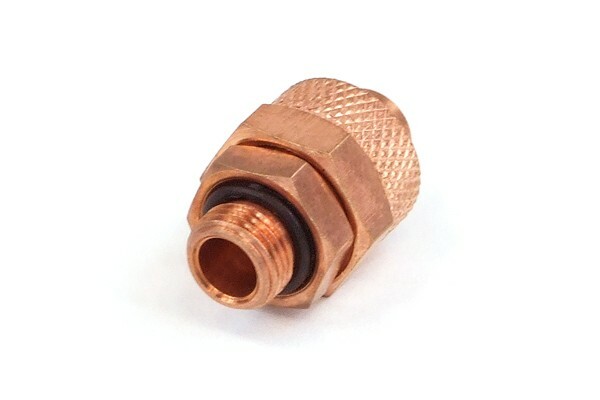 The hose is simply pushed onto the fitting and secured with the union nut. It seals quickly and safely yet it can easily be released with one hand. This system ensures maximum safety and ease of installation. With integrated 1/8" Perbunan(r) O-Ring seal.